Speedo’s V-Class goggle range has received a global seal of approval with a notorious Red Dot Award for Design & Innovation for 2017, under the Sports & Equipment category. V-Class is the latest edition to Speedo’s expanding goggle portfolio, and has been recognised for outstanding design and excellence by the expert committee at RedDot. 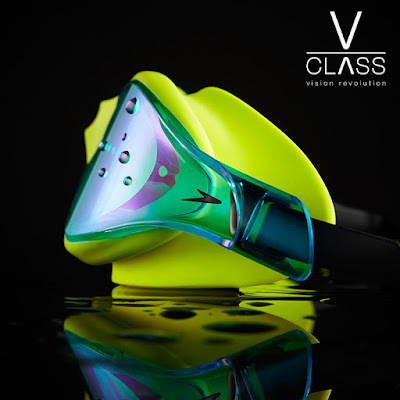 The V-Class range aims to capture the attention of swimmers who desire to have a goggle that is stylish, comfortable and provides an excellent field of vision, so swimmers can enjoy the best underwater experience, with no interruptions. Available in both unisex ‘Vue’ and female fit ‘Virtue’ goggles, the vibrant contrasting colour combinations; inject energy and vitality into the range for the S117 season, completing the look for frequent lane swimmers. The Red Dot Award scheme invites manufacturers and designers around the globe to enter their products as part of the 2017 self-nomination process. The jury of around 40 independent designers, design professors and specialist journalists tested, discussed and assessed each individual product, awarding the Honourable Mention for a well-conceived detail solution, the Red Dot for high design quality. In total, the competition received more than 5,500 entries from 54 countries this year. V-Class was developed in Aqualab - Speedo’s specialist R&D department, to help deliver superior vision, style and comfort in one goggle. The goggle boasts 2 x anti-fog technology, as well as accommodating a clear, expansive underwater view. The V-Class range encompasses attention to detail with beautifully crafted, fluid design - particularly around the lens. Particular attention was given to offer superior material quality and finish on this range, even down to the packaging that it’s presented in.